At BEMPU, we develop and deliver innovative products and services that save the lives of children in low-resource parts of the world. Our vision is for all children to have the chance to live full and healthy lives. The first product in our portfolio is a novel neonatal bracelet capable of detecting hypothermia and infection early in newborns, thereby preventing death and severe illness. 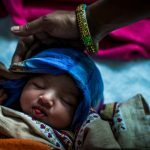 BEMPU is grateful for support and awards from the Bill and Melinda Gates Foundation, Grand Challenges Canada, USAID’s Saving Lives at Birth Challenge, Siemens Empowering.People Award, and others. 102 Eden Park, 20 Vittal Mallya Rd.